Florencene Van joined LJR Tax, Financial & Insurance Services in 2006. She is a graduate of Azuza University and holds both a BS in Business Administration and a MS in Information Data Systems. She is registered with CTEC to prepare taxes. She did her original tax work with H&R Block. 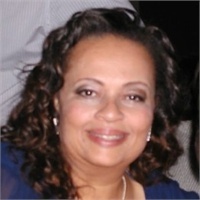 She has worked in the business world for more than 30 years and has a vast experience in establishing new businesses. She also worked in the medical billing industry holding the title of Vice President of Operations.